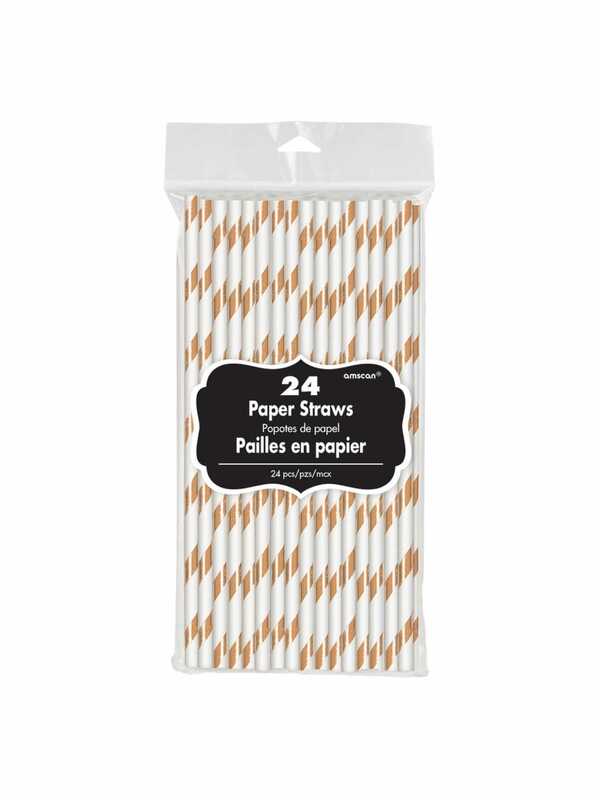 A pack of twenty-four rose gold and white striped paper straws. It's all in the details... create the most gorgeously stunning party display with these rose gold accessories, beautiful when paired up with the rose gold chevron cups and 'Cheers' stirrers. Make everyone envious of this beautifully gorgeous new trend! Hen Party Superstore have free delivery on orders over £40 so grab all the bits you need and have no worries about the delivery costs!